I am currently collaborating in RavalSTEAM, a project between the María de Maeztu Unit of Universitat Pompeu Fabra and the Barcelona City Council. My role is to provide support for teachers in STEAM related activities. 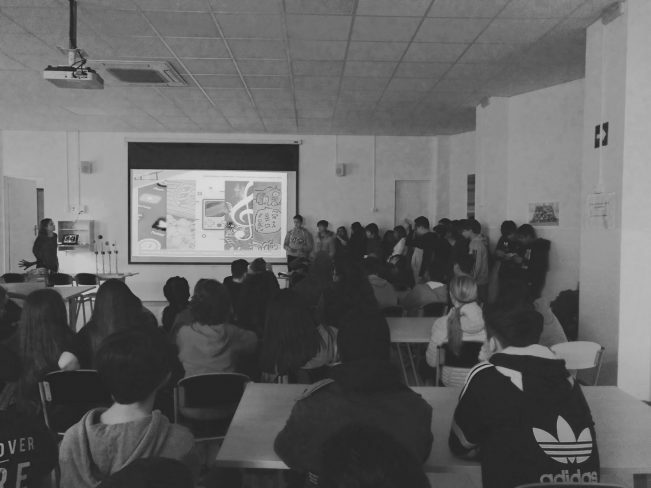 This trimester we started with the co-creation of a digital school magazine in the High School Milà i Fontanals. The final presentation of the first edition was presented beginning of December 2018.